Robert Masur Fellowship; National Employment Law Project 2018 Summer Law Clerk, and more. Applications are now open for the 2018 Robert Masur Fellowship in Civil Liberties at The Nation Institute. Applications must be submitted by Friday, April 27, 2018, to be eligible for the fellowship. The fellowship competition is open to first-year law students who intend to carry out significant activities during the summer (in between their first and second years) in the areas of civil rights and/or civil liberties. The fellowship recipients each receive a $2,000 honorarium. 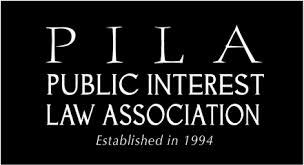 Proposed activities may include a writing or research project, work with a public interest organization, work on a law case under the supervision of a faculty member or lawyer, or any other work in the areas of civil rights or civil liberties. Selected Fellows from historically underrepresented backgrounds will receive a $500 stipend weekly stipend for 8 weeks for work with selected criminal defense offices. Apply for this opportunity here. 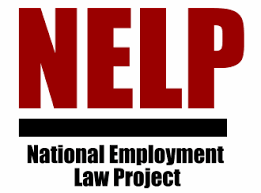 Law clerks will focus on NELP’s fair chance advocacy and assist NELP attorneys in all aspects of this work. Learn more and apply for this position here. Program Role: The mission of the Tacoma-Pierce County Bar Association Volunteer Legal Services Program (VLS) is to ensure meaningful access to justice for low-income individuals by providing clients with volunteer attorney advice, representation, self-help materials, and paralegal support. 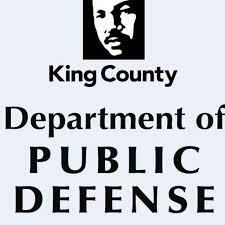 This position will (1) provide legal assistance to clients eligible for services in Pierce County under the South Sound Immigrant Survivor Project (SSIP); will (2) develop and supervise a newly funded Client Follow-Up Program to provide improved access to resources and follow-up assistance for pro se clients. Summary: The Department of Public Defense (DPD) provides legal representation to indigent clients in several practice areas, including felonies, misdemeanors, juvenile offenders, dependencies, involuntary commitment, civil commitment of sexually violent predators, and contempt of court. The Department is looking for talented, committed, hardworking advocates with excellent trial, research and writing skills. DPD is accepting applications from attorneys possessing between three to five years of experience in either criminal defense or family defense. Equal Justice Works Rural Summer Legal Corps and Americorps JD Program; Center on Budget and Policy Priorities, State Policy Fellowship Program. The Rural Summer Legal Corps (RSLC) program connects public interest law students with civil aid organizations to address pressing legal issues facing rural communities. Thirty students will gain valuable experience and will earn a $5,000 stipend for their summer service. The RSLC application is open now and closes February 11, 2018. Apply here and direct questions to ruralcorps@equaljusticeworks.org. “At Cozen O’Connor P.C., we understand the value of a diverse work environment and believe that such diversity adds to our firm’s successes and ability to provide better service to our clients. We seek to employ lawyers of diverse backgrounds, and also those committed to the furtherance of a more diverse and inclusive profession. Students in their first year of law school with a demonstrated commitment to diversity and inclusion are encouraged to apply. Fellows will participate in the firm’s summer associate program beginning in May following their 1L year. Fellows will spend two weeks during the summer associate program working on a pro bono project. Fellows will participate in a diversity & inclusion mentorship program. Due February 12: Center on Budget and Policy Priorities, State Policy Fellowship Program. The Center on Budget and Policy Priorities, a leading national policy institute, is hosting several State Policy Fellowships across its network of State Priorities Partnership (SPP) organizations. The fellowship program is a two-year paid opportunity that will give fellows the chance to start their careers in a well-respected state policy organization, learn from professionals in the field, and make real contributions to public policy. While they can’t guarantee placement in Seattle, the Washington State Budget & Policy Center is one of the hosting sites for a State Policy Fellow. They hope to have a fellow join our team to help us in our efforts to advance shared prosperity in Washington! Eligible candidates must have received a graduate degree in public policy, public affairs, economics, law, social work, public health, or a related field in the past two years, or expect to receive a degree before August 1, 2018. Candidates must also have a strong academic record and be eligible to work full-time in the United States for the two-year duration of the program. Bring diverse perspectives to state policy debates. To expand the voices that speak with authority in state policy debates, the program identifies highly qualified candidates with a track record of working on public policies affecting low-income and diverse communities and policies that advance racial equity. Make a difference for low-income families and communities. Working in independent, highly respected policy organizations across the country, Fellows analyze the impact of state budget and tax policy choices on low-income residents, promote positive reforms, and collaborate with advocates to engage the public on the impacts of public policies on local communities. Launch careers. State Policy Fellows spend two years developing expertise in issues such as state budget and tax policies, health care, education finance, family economic security, and criminal justice. Fellows will travel to Washington, D.C. for training and career development, work with mentors, and have access to ongoing training and opportunities for professional growth. For complete program information, please visit www.cbpp.org/fellowship. SALARY AND BENEFITS: $7,500 for 10 week fellowship. Social Justice Tuesday, Equal Justice Works Info Session, WA AGO Open House and more! Join us for a lively conversation with the author of Biting the Hand Hands that Feed Us”, Baylen Linnekin, a Seattle-based scholar, adjust professor, and food lawyer. Linnekin will discuss the book’s main theme, how federal, state, and local laws and regulations both restrict sustainable food practices and promote unsustainable food practices. If you missed the registration deadline, you should still attend table talks. Click here for more information or see the SCS Resource Center. $125 per individual ($150 after Jan. 26) $75 for reduced admission* ($90 after Jan. 26) $850 per table of 8 ($1,000 after Jan. 26) $550 for reduced price table of 8* ($700 after Jan. 26) *Available to students, nonprofit employees, government employees and those otherwise unable to afford a regularly priced ticket. Students may buy one additional ticket. The Goodwin 1L Diversity Fellowships provide first-year law students from underrepresented backgrounds with awards of $10,000 each, to help cover expenses while working in a public interest law position during the summer after their first year of law school. · As part of the callback interview process, fellows will also be considered for the Wayne A. Budd and Marian A. Tse Diversity Scholarships, providing selected recipients with a paid 2L summer position in one of Goodwin’s U.S. domestic offices during the 2019 summer associate program and an additional $10,000 toward tuition for the third year of law school, paid out upon completion of the summer program. In addition to the selection criteria listed below, those who have overcome obstacles in pursuing a legal career and have demonstrated the tenacity and talent to excel in the legal profession will be considered. Named in honor of diversity trailblazers and champions Wayne A. Budd and Marian A. Tse, these scholarships are designed to help make our workplace and profession more diverse. Attorney advisors to help fellows succeed in their public interest law position, and to help introduce them to Goodwin. The purpose of this posting is to notify students of the Region’s decision to offer an extern position to a qualified law student for the 2018 (fall) – 2019 (spring) school year and to provide information regarding that position. Aside from the extern position, the Board has not allocated, at this time, funding for a paid intern position in Region 19 for the summer of 2018. However, Region 19 will consider sponsoring a qualified law student who is awarded a grant (e.g., by a law school, bar association, and/or by other sponsoring entities) to work during the summer of 2018 with a governmental entity. The extern will be trained in the Board’s administrative investigative and case handling techniques and procedures and then will be assigned primarily to investigate unfair labor practice charges. Following completion of the investigation, the extern will draft a report containing relevant and material evidence from the investigation, an analysis of applicable Board (labor) law, and a recommendation to Regional management regarding the appropriate disposition of the case (e.g., dismiss the charge, issue complaint absent settlement, etc.). Puget Soundkeeper seeks a motivated and passionate law student to serve as a summer legal intern in our enforcement program. The intern will perform in-depth legal research and analysis to support Soundkeeper’s Clean Water Act enforcement and assist with investigating potential litigation. Puget Soundkeeper’s mission is to protect and preserve Puget Sound by monitoring, cleaning up and preventing pollutants from entering its waters. The successful applicant will demonstrate a commitment to this work as well as an interest in environmental law and policy and a desire to work in a small, close-knit and collaborative setting. This is a full-time, unpaid position based in Seattle, WA for 10-12 weeks (duration negotiable) during summer 2018 (approximately June-August). Candidates are to work out of Puget Soundkeeper’s office with the potential to work remotely as needed. To apply, please send a cover letter, resume, law school transcript and short writing sample with the subject “Summer 2018 Legal Intern” to Sophia Ressler at sophia@pugetsoundkeeper.org. We kindly ask that applicant refrain from calling for further details regarding their application; please email with any questions. Deadline is May 4, 2018 (although applications will be accepted on a rolling basis before then as well). Please RSVP in SCS Online. The Latina/o Bar Association of Washington (LBAW) is proud to announce our annual banquet on February 2, 2018, at the Fairmont Olympic Hotel in Seattle. LBAW seeks to make Washington more fair and equal by confronting inequities in our legal system which in turn affect our communities. For decades, LBAW has advocated for the well being of the Latino people of Washington State by bridging the divide between the legal profession and the community. We hope you will be able to join us as we celebrate another year of LBAW’s contributions to the legal community. Join AAG Troy Klika for a discussion about AG hiring practices, and recruitment. Any questions you may have will be answered. The Air Force Judge Advocate General‘s Corps is currently seeking applications for our 2018 summer unpaid externship program. The Air Force JAG Corps provides full-spectrum legal advice to military commanders. As an extern, you will gain hands-on experience in diverse areas of legal practice while learning more about the Air Force and the JAG Corps. Our program is an excellent way to gain exposure to substantive legal work while serving alongside Active Duty Air Force Assistant Staff Judge Advocates. Positions are available, full-time, for 8-12 consecutive weeks during the summer of 2018.